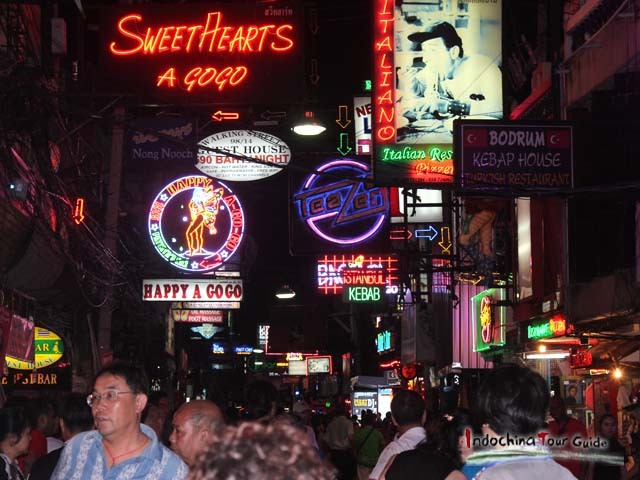 Upon arrival in Bangkok, our local tour guide will pick you up and escorted to the hotel for check-in and a short rest. 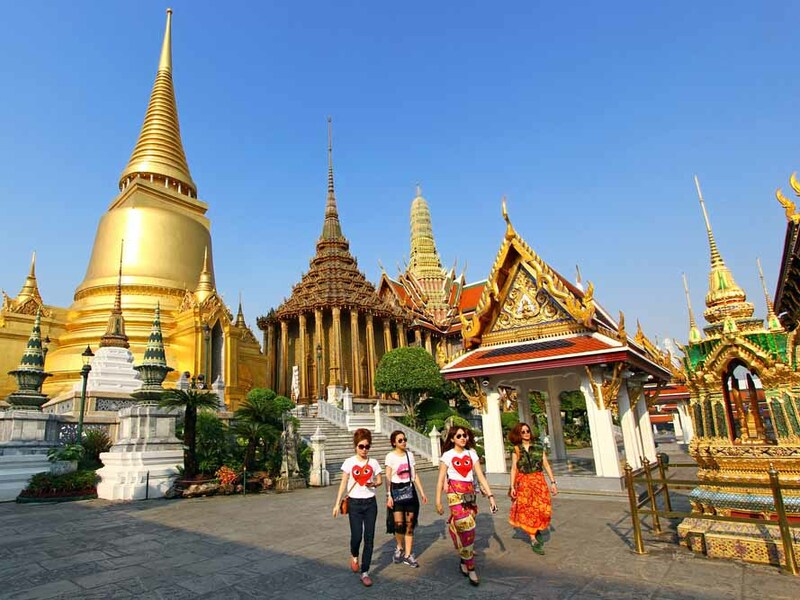 Visit Wat Trimitr with its invaluable Golden Buddha (5 ½ tons of solid gold), and Wat Pho, the most extensive temple in Bangkok, with its colossal Reclining Buddha and the Chedis of the Kings. Grand Palace is one of the most beautiful samples of an ancient Siamese court. It used to be the residence of the Kings of Thailand. Here you will see palaces which were used for different occasions: the Funeral Palace, the Reception Palace, the Throne Hall, the Coronation Hall, the Royal Guest House, and the beautiful Emerald Buddha Temple. Wat Arun is among the best known of Thailand's landmarks. The temple is so named because the first light of the morning reflects off the surface of the temple with pearly iridescence. 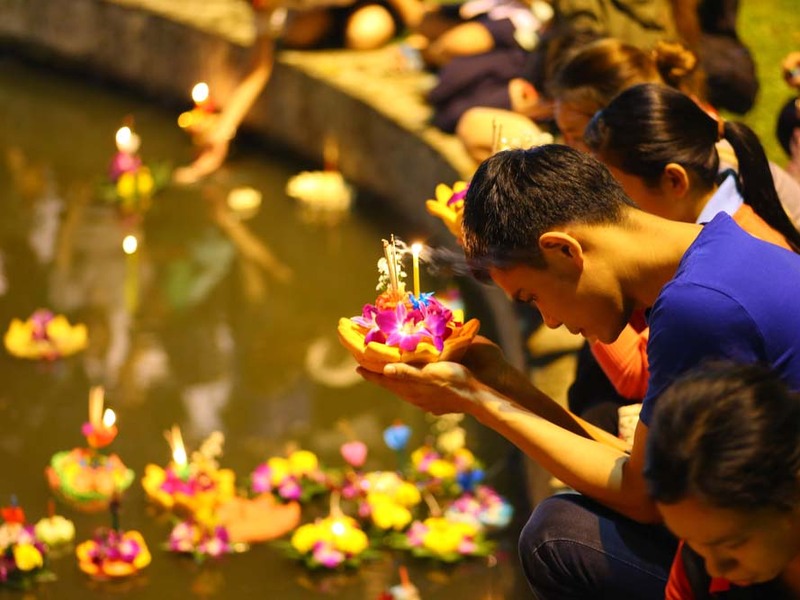 Enjoy a leisure boat tour to Damnoen Saduak Floating Market, situated 110 kms west of Bangkok, which is a very attractive place for tourists to see the old style and traditional way of selling and buying fruits, vegetables, etc., from small boats. You will also see traditional Thai houses, the way they live and travel by boats. Then turn your attention to Nakorn Pathom, site of the highest Chedi in Thailand called “Phra Patom Chedi” which is the largest pagoda in Southeast Asia. Wat Yai Chaimongkhol, a large Chedi of this Wat which can be seen from a far distance. This monastery was built by King U-Thong in 1357 A.D. for the use of the monks who had returned from Ceylon after studying under Phra Vanarat Maha Thera. And Ruins of Old Royal Grand Palace & Temples. Cruise down to Bangkok along the Chaopraya River where you can enjoy the rural Thai life along the river.